The Brisbane Marketing Convention Bureau has reported business as usual for Brisbane's corporate events, despite heavy flooding. The organisation said that the majority of business events booked to take place in the Australian region will go ahead. Convention Bureau director Annabel Sullivan said the bureau has been in communication with its members throughout the Greater Brisbane region. "The Bureau is pleased to find that the majority of Members have resumed their usual operations. Business events bring in $170m (£105m) worth of economic value to Brisbane every year, and $17bn (£10.6bn) a year nationally. It is big business and we are committed to creating economic value for Brisbane through world class business events," she added. 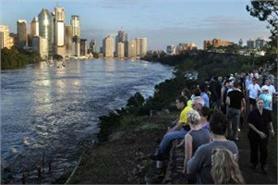 Last week, C&IT reported that floods had caused the Brisbane Convention Exhibition Centre to close. The venue re-opened last Friday (21 January).